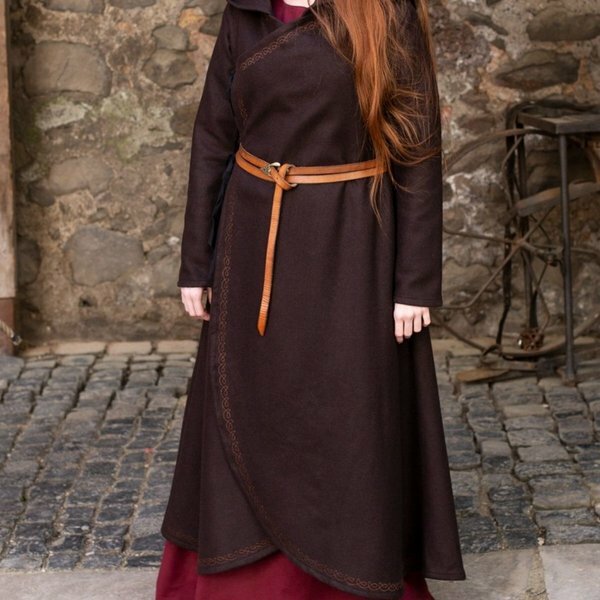 A perfect garment for historical re-enactment, LARP, Cosplay and for festivals. 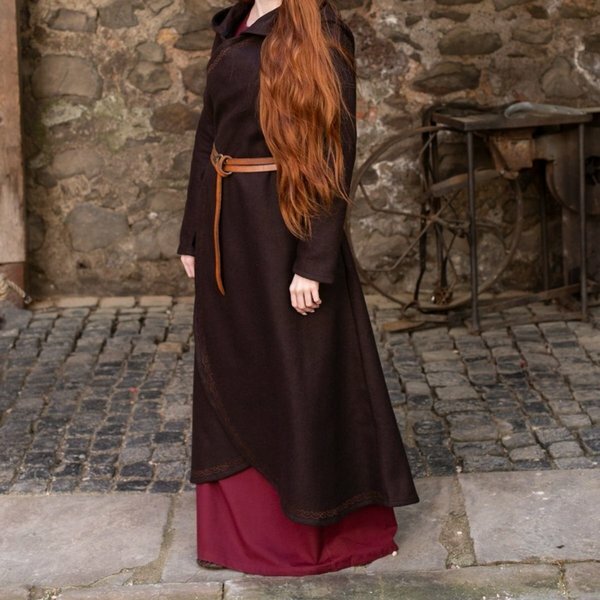 This beautiful warm wool cloak can be worn over any garment as protection against cold and bad weather, but it is also a beautiful addition to your outfit. The hood has a medium lengthn hood made after medieval models. 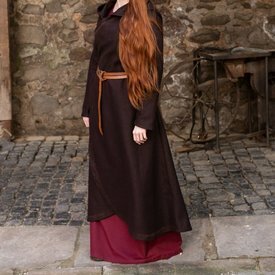 The cloak has no buttons, but can be fixed with a belt (not included) or cord around the waist. In this way you can also customize your outfit. 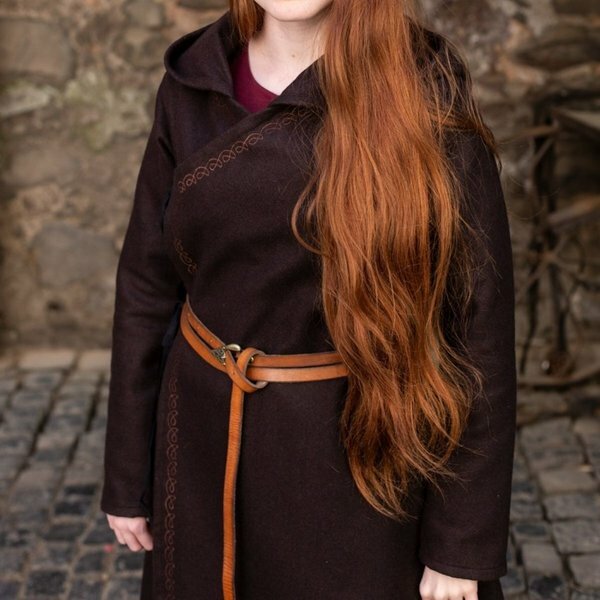 The cloak has a luxuriously expensive appearance because of the material and the Celtic patterns on the edges embroidered with a yarn that imitates gold thread. This wool felt cloak is ideal for cold days. The material is durable, wind and water repellent.